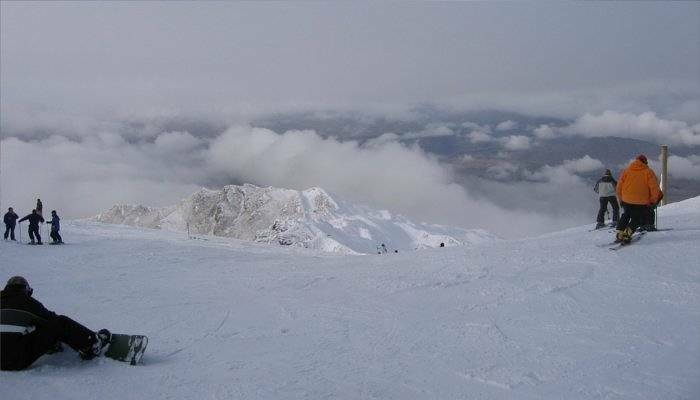 Here at dealchecker, we’re all about value and we’ve undertaken a HUGE project to make sure you get the best value for money when it comes to skiing and snowboarding. We know that spending a week haring down pistes, admiring the snowy mountain views and indulging in après ski certainly doesn’t come cheap. The ski pass can often be as pricey as the rest of your ski holiday deal so we went hunting the best value pass prices. So whether you’re just looking for as many pistes as you can get, are all about the terrain parks, or want to know exactly how many adrenaline-thumping black runs your moolah gets you, we’re here to help! Great news, for the most kilometres of maintained piste for your pound you’ve only got to head to Les Portes du Soleil in Switzerland. Here you’ll pay £200 for a six-day pass which will get you access to a whopping 650 kilometres of skiing or snowboarding. That’s not even mentioning the off-piste action! Other notable all-round great value resorts are Trois Vallees and the Milky Way Area in Italy and Zillertal and St. Anton in Austria. And if you want to know where you get the fewest kilometres for your pounds, we checked that out too. Last place in the value stakes goes to Estonia’s Otepaa at £101 for a six-day pass for only two kilometres of maintained pistes. Swiftly followed by Poiana Brasov in Romania and Pyha in Finland. Snowboarders and fun lovers rejoice! If you thought that the best value ski parks were going to be found in North America…you’d only be half right. Les Portes du Soleil with six parks and Trois Vallees with 13 again make up the top two places, with Whistler Blackcomb and Jackson Hole following quickly behind. 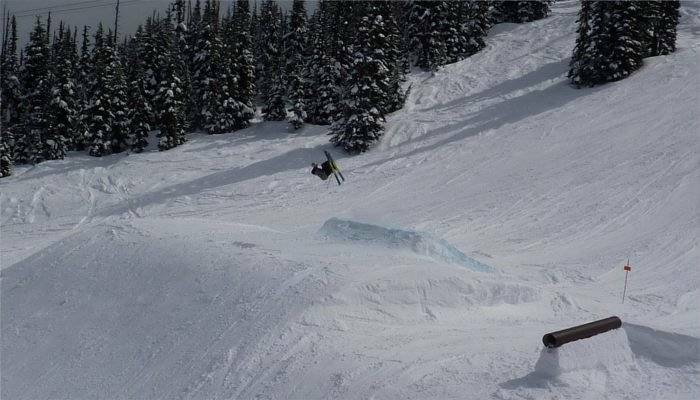 They have eight and six snow and terrain parks apiece respectively. Some of the ski areas in our list don’t have any terrain parks at all, so it would be a little unfair to judge them the worst value. The US park Alta-Snowbird, Verbier’s 4 Vallees area and Zermatt Matterhorn all come in at around £300 for a six-day pass and only have one ski park each, making them ones to avoid if you like your cash and want to try out your tricks! If, like me, you like lifts and hate queues then you will be interested in this one! Along the way in this research I’ve seen chair lifts, button lifts, gondolas and even magic carpets (whatever those are) which have all been totted up together to find where you’ll get the most lifts. Of course topping the table of most lifts per pound is Switzerland’s Portes du Soleil! Austrian ski areas Zillertal and St. Anton and French areas of Trois Vallees and Les Grand Rousses also top the charts. 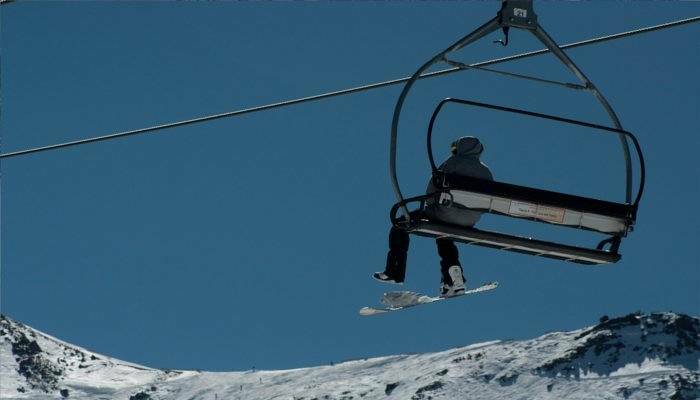 They are all pretty huge resorts and we defy you to ride all the lifts on a holiday here! Bringing up the rear with a teeny amount of lifts compared to the price you pay for a lift pass is USA’s Alta-Snowbird and Jackson Hole ski resorts, Romania’s Poiana Brasov and Finland’s Pyha. Surprisingly, Grand Massif in France is also down at the bottom. Now we’re getting to the really important stuff. Learners and skiing nOObs here are the places to go where ski passes offer the most blue and green runs for your money. Our value favourites top the charts here too, with Trois Vallees and Les Portes du Soleil offering the most kilometres for your cash and the most runs respectively. Notable others are the Tri Area around Banff in Canada, Les Grand Rousses in France and Grandvalira in Andorra. It’s the smaller and more obscure resorts that offer much less value for money for beginners, with Romania’s Poiana Brasov and Estonia’s Otepaa having hardly a beginner run between them. Pyha in Finland, Zugspitze in Germany and Zakopane in Poland are also ones to avoid if you want to get the most out of every pound as you try on your snow legs. Proving their worth as all-rounders, predictable Trois Vallees in France and Les Portes du Soleil in Switzerland offer great value for money when it comes to forking out for your lift pass and enjoying intermediate runs too. 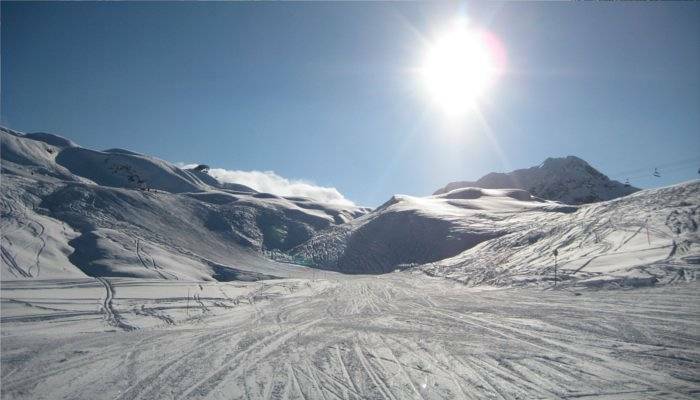 As a skier or snowboarder gaining in confidence you could also try Austria’s Tyrol-Ischgl ski area with prices from £185 for a six-day pass, France’s Milky Way Area at £193 and Switzerland’s Zermatt Matterhorn at what seems to be a steep £303, but that gets you a whopping 216 kilometres of red runs. 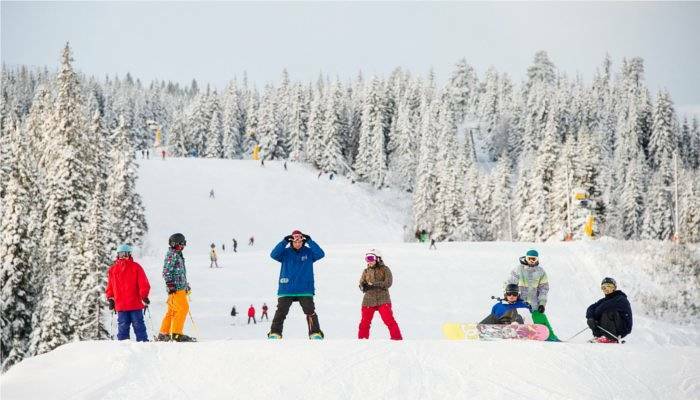 Offering very little value for money for intermediate skiers and boarders we’ve got the usual suspects of Poiana Brasov, Pyha and Otepaa, joined by Italy’s Amadello ski area at a huge £541 for a six-day pass and Idre in Sweden where you’ll only pay £133 but only get three red runs for that. Down to the big money question – where has the best value black runs? As you’re probably already aware, heading across to North America might be your best bet, with Vail and Alta-Snowbird in the USA and Whistler Blackcomb in Canada offering the most bang for you buck. 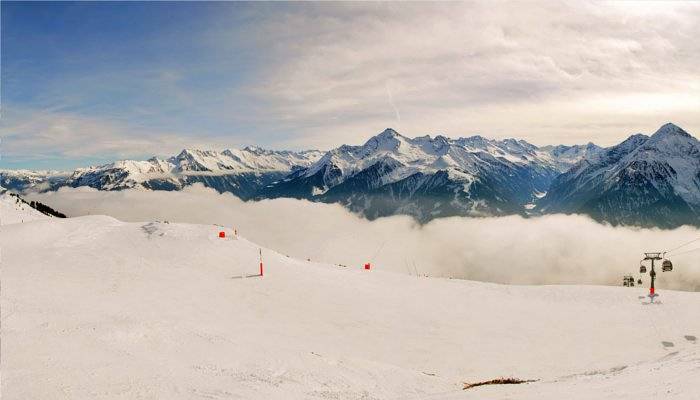 Old friend Trois Vallees in France once more proves the worth of its £218 price tag for six days’ access whilst Austria’s Tyrol-Ischgl also a great bet in Europe. Here you get 48 black runs for £185 for six days. With barely 10 black runs between them, at the bottom of the pile are Otepaa, Zugspitze, Jahorina, Pyha and Amadello – so advanced skiers beware! 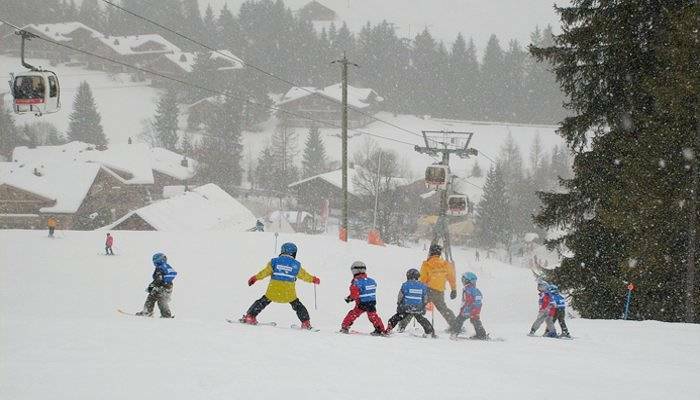 All this research has got me wondering where my snowboarding trip will be this year – as part of a mixed ability group it’s quite clear that we should go to the Trois Vallees, which is probably not a surprise! 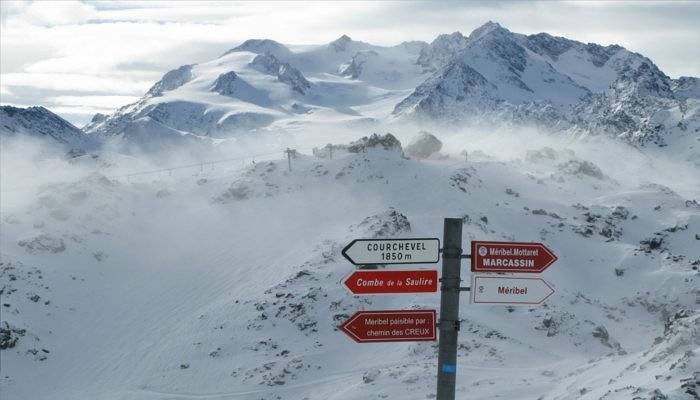 It’s the largest ski area in Europe and one of the world’s top venues, boasting famous resorts like Courchevel, Val Thorens and Meribel. Perhaps I’ll see you practising my “totally sweet” moves at the terrain parks.